MarsOne has had its doubters and detractors from the very start, many of them from the spaceflight and engineering sector who don’t see how any of the company’s goals can actually be achieved… especially with a lack of funding, industry partnerships, and most of all in such an unreasonably short timespan. And yes, I admit I was one of the many hopeful folks who really wanted this to become a reality. But while I understood that there would have been inherent risks to such a venture, you’d have hoped that all reasonable precautions would have been taken by MarsOne to mitigate dangers to their crews, including (but not limited to) an incredibly meticulous selection process, thorough training and education, and top-of-the-line engineering and manufacturing of all equipment to be developed and used. Unfortunately none of that appears to be the case, and the way this is unfolding I wouldn’t be surprised to see the whole house of cards come tumbling down within the next few weeks… if not sooner. It will be interesting to see how MarsOne responds to all of this. As yet, it has not. But the ball is definitely in their court now. Read the entire exposé by Elmo Keep on Medium here. Also, read more about our chances of getting to Mars anytime soon in this article on NPR. UPDATE 3/18: as a response (i.e., rebuttal) to the above mentioned article by “that rascally” Elmo Keep, other MarsOne candidates have weighed in on the points mentioned by Dr. Roche in defense of the company and its goals. They’d stand a better chance on Gamamede with some underwater hotels… I thought they were going to the moon to mine helium 3. Most people can’t find their way out of a desert on Earth! So is this the end of dream to go on Mars ?? 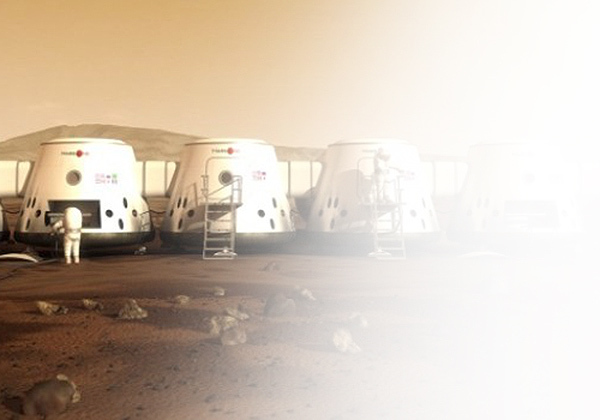 And Mars One project will come tumbling down ? ?